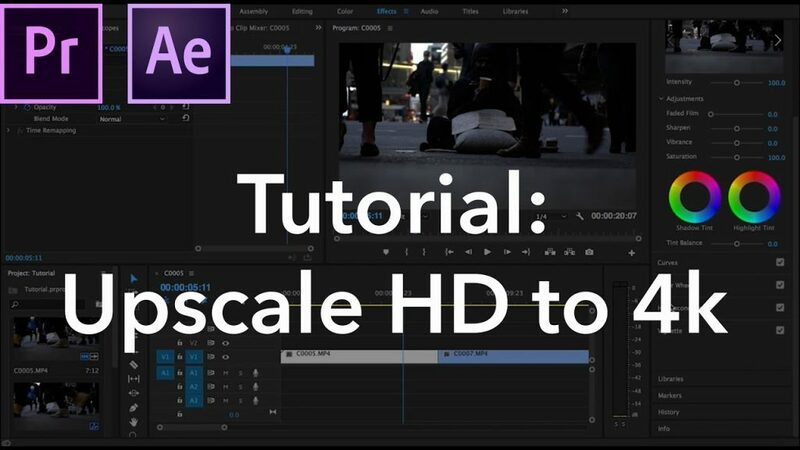 How to Render HD Video to 4K Video in Adobe Premiere? Question: I edited and export HD (1920 x 1080) video by Adobe Premiere Elements 11. Do I have the options to render this HD video to 4K like 3840 x 2160 ? I know APE 11 (or even latest 13) does not support 4K video editing. Any less expensive suggestion ? Adobe Premiere Elements is an easy-to-use video editor with lots of effects and guidance, it’s a good choice for filmmaker. And the good thing is that the 2018 version of Premiere Elements could support 4K videos. However, although the lastest version have added 4k support, it still not easy to render HD video to 4k video with Premiere Elements. So is there any way to solve the problem? In fact, one way is that your original video source could be in 4K resolution, and then you can render 4K video after editing the 4k videos. So you should make sure the input footage as 4K video. The other way is to upscale HD video to 4K video by using the third-part software. Here we highly recommend you Pavtube Video Converter Ultimate (to get Mac verison) which can easily upscale your HD video to 4K video for playing on 4K monitor. Apart from that it also allows you to upscale 1080p Blu-ray to Ultra HD 2160p Blu-ray with just 3 easy-to-learn steps. It works as a professional 4K video converter, enables you to import 4K MKV, 4K MOV, 4K MTS, 4K M2TS, and other 4k videos to 4K MP4, 4K H.265 MP4 for convenient transfer and playback. In another words, you can import the 4K video downloaded from Youtube; shot with Sony/Panasonic/Canon camcoders; captured by DJI Phantom/Mavic Air; and any other way you can get to MKV, MOV, MP4, WMV in SD/HD/4K resolution as you like. The Windows version of Pavtube BDMagic supports up to 6x speed H.264 codec encoding acceleration on a computer with Nvidia Graphic cards that supports Nvidia CUDA and AMD APP technology and up to 30x speed H.265 codec encoding acceleration on a computer with Nvidia Graphic cards that supports Nvidia NVENC technology. It also allows you to edit, enhance, organize BD/DVD/digital videos before you import into Premiere Elements for postproduction. 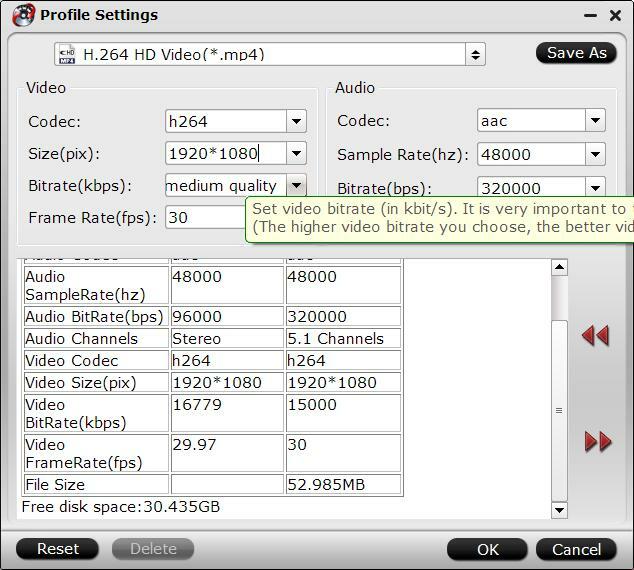 The following is the detailed steps to upscale your HD video to 4K video. Just go to the offical website to download this software and follow the steps. Step 1: Add HD videos. 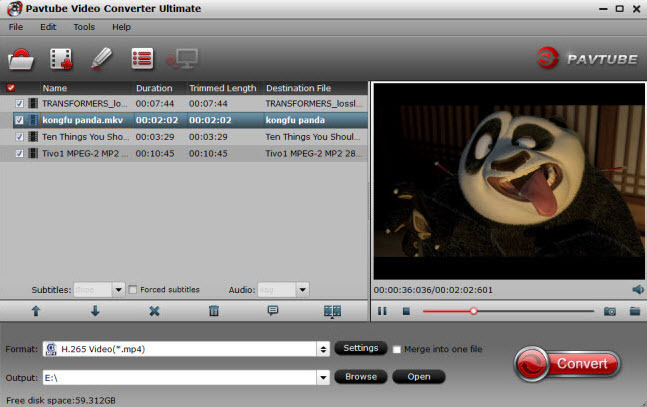 Open the program, click "File" menu, from its drop-down option, select "Add Video/Audio" to load HD video to the program. Batch conversion is available here. From "Format" bar drop-down list, choose the formats that you want to output for later use. For compatibility consideration, it is idea for you to choose "Common Video" > "H.264 HD Video (*.mp4)" as output file format. Step 3: Upscale HD to 4K. Open "Profile Settings" window, click "Size(pix)" to select/type 3840*2160 as the final resolution for output video. With this software, you are able to compress 4K to 1080p. Step 4: Start the HD to 4K conversion. After all the settings is completed, hit right-bottom "Convert" button to start to upscale HD videos to 4K videos. When the conversion stops, go to the folder you just set to get the generated files. Now you can upload the 4K video to YouTube, Facebook and other social network for sharing with thousands of audiences. How to Smoothly Upload and share 4K Video on YouTube/Facebook/Vimeo? How to Import Media Files to Adobe Premiere Pro on Windows/Mac? How Does 1080p Look On A 4K TV?